Causes of insomnia include both medical and psychiatric conditions, specific substances, unhealthy living and sleeping habits and certain biological factors. Most recent researchers consider insomnia to be a result of the brain being unable to fall asleep. Therefore, it is always crucial to understand and define what the particular insomnia cause is in your particular case. Medical conditions such as chronic pain, need to urinate frequently, breathing difficulties, arthritis, heart failure, lung disease, cancer, GERD, stroke etc. Medications including some antidepressants, allergy medications, blood pressure medications, stimulants and corticosteroids. Eating late in the evening. Eating in big quantities before sleep time can cause insomnia and even heartburn. Insomnia is more bound to happen as a result of aging. As people get older, change in sleep patterns may occur. Sleep is often disturbed and restful as we age and with the internal clock advancing, people start feeling tired earlier than before. Additionally, there is the chronic pain of health issues that develop as a result of aging that creates insomnia. These include sleep apnea or the restless legs syndrome. These reasons can be split in a few groups: medical and psychiatric causes. There is a grand variety of medical conditions that can lead to insomnia. In some cases, there is one medical condition that can cause this disorder, but in others the symptoms of it are the main reason for the sleeping difficulties. Additionally, many of the medications commonly prescribed for the symptoms of these diseases can also cause insomnia. These include medications for common allergies, high blood pressure, thyroid disease, heart disease, asthma, birth control and depression. Another cause of insomnia is underlying sleep disorders such as restless leg syndrome. This is a neurological condition that occurs when people have the constant uncomfortable sensation of needing to move the legs. This syndrome worsens in later parts of the day due to inactivity in the transition to sleep. Therefore, this underlying symptom adds up to insomnia issues. Another sleep disorder that can be linked to insomnia is sleep apnea. When one suffers from this disorder, the airway becomes obstructed during the sleep. This can lead to drop in oxygen levels and troubles breathing. The person can wake up repeatedly throughout the night and have difficulties sleeping. People with this disease often experience insomnia because of their irregular sleeping habits. Insomnia can be caused by many psychiatric conditions, including depression. Psychological issues can make a person find difficulty in sleeping. Insomnia can also bring shift in hormones and mood changes which only add to the psychological issues at the same time. Sleep deprivation is a common depression symptom, so this psychological condition is often connected to the disorders. Studies show that insomnia can even worsen the depression symptoms. The good thing here is that both these conditions can be treated, regardless of which one caused the other one. Another psychological condition linked to insomnia is anxiety. There are many people who have reported that anxiety is their main cause of insomnia. People often find it difficult to fall asleep because of worries, but some even see this as a pattern that ruins their sleep on regular basis. Anxiety can really add up to insomnia due to tension, excessive worrying, and feeling overwhelmed, revved up sensation and many other symptoms. There are many mind-body and cognitive techniques that will aid people with troubles sleeping. Insomnia is often perpetuated by unhealthy lifestyle and sleeping habits. Lifestyle can create insomnia on its own or can add up to other medical or psychological conditions that cause it. Working home in the evenings. This can make you feel preoccupied and make it hard to unwind. Taking naps in the afternoon. Short naps can be effective for some people, but they can cause insomnia in many cases too. Sleeping in late. Your body’s clock can be confused if you are trying to make up for lost sleep by doing this. This can cause difficulties in falling asleep again when night comes. Working irregular hours. Sleeping in different periods of the day can also confuse the body’s clock and cause insomnia. Alcohol can make you fall asleep many times, but also disrupts the sleep and causes insomnia. Nicotine is a stimulant that can cause insomnia. Smoking before bedtime can make it difficult to fall asleep and disturb the sleeping. Heavy meals before going to bed are not a good idea either. This is why it is highly recommended that you eat lightly before bedtime. Being a woman. The majority of insomnia cases are women, especially because of their hormonal changes during menopause or menstrual cycles. Insomnia may also occur when a woman is pregnant. Being older than the age of 60. Changes in health, medications and sleep patterns are a risk for developing insomnia. Having a mental health disorder. Disorders such as depression, bipolar disorder, anxiety and post-traumatic stress often disrupt sleep. Being under a lot of stress. 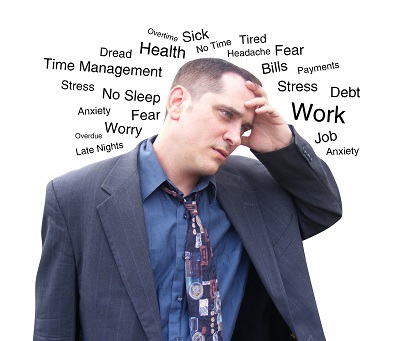 Temporary insomnia may be the result of stressful events. 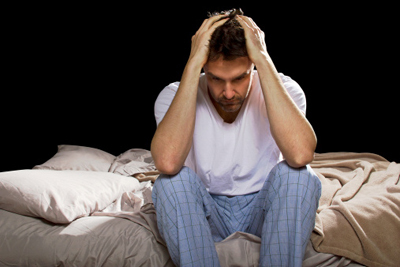 Chronic insomnia on the other hand, can occur after long-lasting or major stress such as the death of someone you love. Travelling a lot. Jet lag from various time zones can cause insomnia. If you have sleeping issues on a regular basis, there is a good chance you are suffering from chronic insomnia. When this happens, it is a good idea to think of any underlying medical issues or sleep disorders that may cause this problem. There are many ways to limit the possible distractions and get your sleep back on track. The treatment should always be discussed with a medical expert.